At Finte O’Broin we encourage you to set up your own clan and place it on our register. 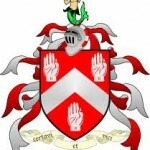 For example, Clan O’Byrne of Cardiff or Clan Byrne of Tipperary. All we need is for you to let us know the names of 5 members of your clan and the name of your Head of Clan or Ceann Fine, as we say in Irish. Should you wish to contact any of the Clans or Ceann Fine mentioned above, please email derek@clanbyrne.com for details.